Abhaneri located 95 Km from Jaipur is famous for the Chand Baori step well and Harshat Mata temple. The Harshat Mata temple is in ruins and is maintained by the Archeological department of India. Dedicated to Lord Vishnu the temple is craftsmanship to its best. Another spot that attracts travelers to Abhaneri is the Chand Baori which is a step well that is 20 m deep and has 13 levels. 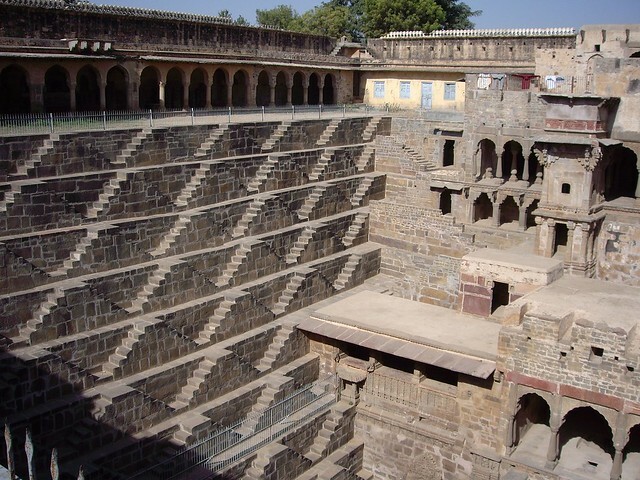 Located just in front of the temple, Chand Baori was actually an attempt of water harvesting by the natives.